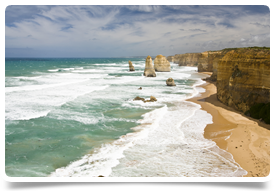 GP required for growing practice in the city of Colac. With easy access to Geelong and Melbourne, this thriving town has lots to offer GPs relocating alone or with family. Colac is situated between Geelong and Camperdown on a huge rich volcanic plain. Just under two hours from Melbourne, the area is mainly used for agricultural and pastoral purposes, and is surrounded by many large lakes and volcanic craters. Colac fronts the southern shores of Lake Colac - the largest natural freshwater lake in Victoria. This lake is popular with swimmers and boating enthusiasts, and includes a number of foreshore walking trails, jetties and boat ramps. There is a bird reserve in the wetlands off The Esplanade which attracts a diverse range of bird life to the lake.